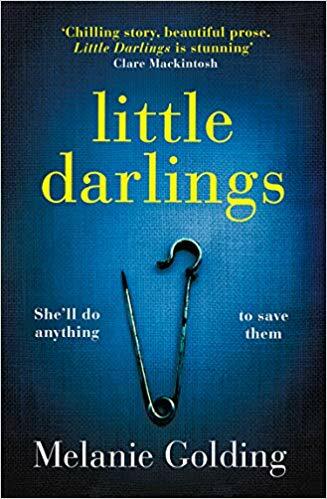 It’s six in the morning during the hottest summer on record when Elizabeth O’Loughlin, out walking her dog, comes across Clare, a victim of a horrific knife attack, clinging onto life at the side of the road. Clare dies minutes later, but not before whispering her haunting last words to Elizabeth. 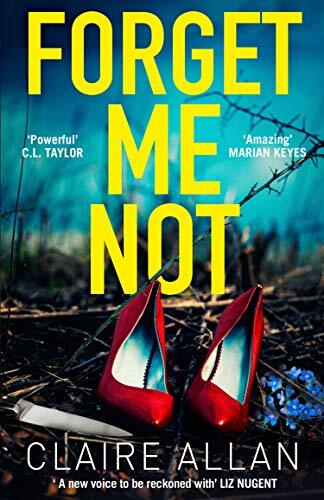 When it becomes clear that Clare’s killer has more than one murder on his mind, Elizabeth has to take drastic action or face losing everything. But what if she can’t stop a killer determined never to be forgotten? Sounds like another chilling story from the Northern Ireland author. ‘The Blind’ is A.F. Brady’s debut novel. Every morning, psychiatrist Sam James gets up at six forty-five. She has a shower, drinks a cup of coffee, then puts on her make-up. She ignores the empty bottles piling up by her door. On this particular morning, Sam is informed of a new patient’s arrival at Manhattan’s most notorious institution. Reputed to be deranged and dangerous, Richard is just the kind of impossible case Sam has built her reputation on. She is certain that she is the right doctor to treat such a difficult patient. But then Sam meets Richard. And Richard seems totally sane. Let the mind games begin. The Blind is the first book by A.F. Brady and it’s a gripping story that made for a fascinating story. Solely written in the first person, we meet psychologist, Sam. She works in a mental institution where she tries to get people to face their demons and struggles, but it seems that she has far more than she lets on. On the outside, she’s polished to perfection, reliable in her work but inside, she’s battling a drink addiction, an abusive boyfriend and a new patient that refuses to speak. 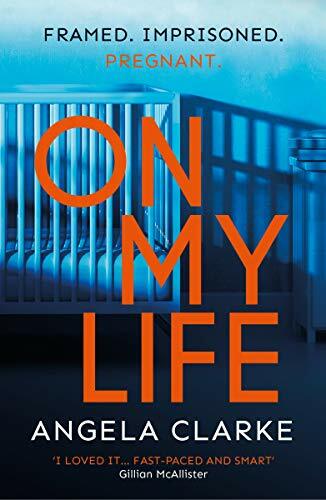 As she tries to get the new patient, Richard to face his problems, his issues are making her address her own and realise that she needs to get her life in order. Sam, is an interesting character, she’s complicated, impulsive, troubled and addicted to troubled people. She’s also apologetic for them and constantly making excuses for their behaviour. Her fascination with Richard is really fascinating reading as she tries to piece together his life. This story made for compulsive reading that really held my attention. 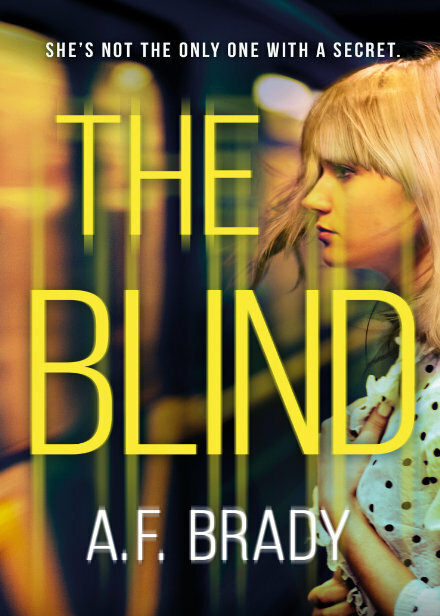 Riddled with tension and suspense, this atmospheric book is cleverly written with a complex lead and an even darker plot, ‘The Blind’, is a chillingly good book that will make you look at people in a different light. You can buy The Blind from Amazon and is available to buy from good bookshops. 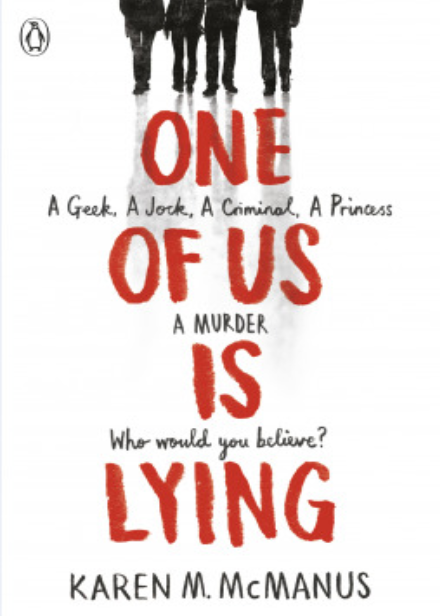 ‘One Of Us Is Lying’ is the latest book by Karen M. McManus. Five students go to detention. Only four leave alive. Yale hopeful Bronwyn has never publicly broken a rule. Sports star Cooper only knows what he’s doing in the baseball diamond. Bad body Nate is one misstep away from a life of crime. Prom queen Addy is holding together the cracks in her perfect life. And outsider Simon, creator of the notorious gossip app at Bayview High, won’t ever talk about any of them again. He dies 24 hours before he could post their deepest secrets online. Investigators conclude it’s no accident. All of them are suspects. Everyone has secrets, right? What really matters is how far you’ll go to protect them. This is Karen’s debut book and it’s an addictive read filled with secrecy, bitchiness and lies. The story starts just as the five students all arrive for detention and then is seen through the four remaining narratives as they all become the suspects in the investigation when Simon, the fifth student suddenly dies in suspicious circumstances. The four students all come from completely different sides of track and in a different situation, they may never have forged friendships. But, in the surreal situation that they are experiencing, they are all there for each other, trying to piece together the mystery of Simon’s death. Simon, who tragically died was a bit of hated character, he was an antagonistic boy, who liked to spread humours and make people uncomfortable with the creation of his gossip app ‘About That’, which shared tales of speculation and lies. Bronwyn is a serious and studious girl who finds herself attracted to social outcast, Nate, a bad boy that trouble seems to follow. Whilst Addy is the prom queen of the high school, with the perfect boyfriend and star of baseball team. But her life is far from perfect with her boyfriend’s controlling ways and her mothers pressuring ways of wanting to settle down. Finally Cooper, is the boy that the girls want and the boys admire. All four of the students, had something to hide, that they didn’t want other people to know, but Simon knew more than he let on and that’s why they are all suspects in the case. As the story progresses, their secrets are revealed and they all have motives to kill Simon. This book is great, it’s similar to ‘The Breakfast Club’ which is one of my all time favourite films, which is also set in detention and has similar characters. But that’s were the similarities end, as with the normal everyday issues that young adults have to face, there is the added fear of being a suspect of murder. Cleverly written, this dark story is seen through the narratives of the characters and this gives quite vivid insights into each of their minds and all the problems they face. Riddled with twists and turns, this suspenseful story is engaging from the start. With relatable characters and situations, this fantastic murder mystery is a must read. You can buy One Of Us Is Lying from Amazon and is available to buy from good bookshops.